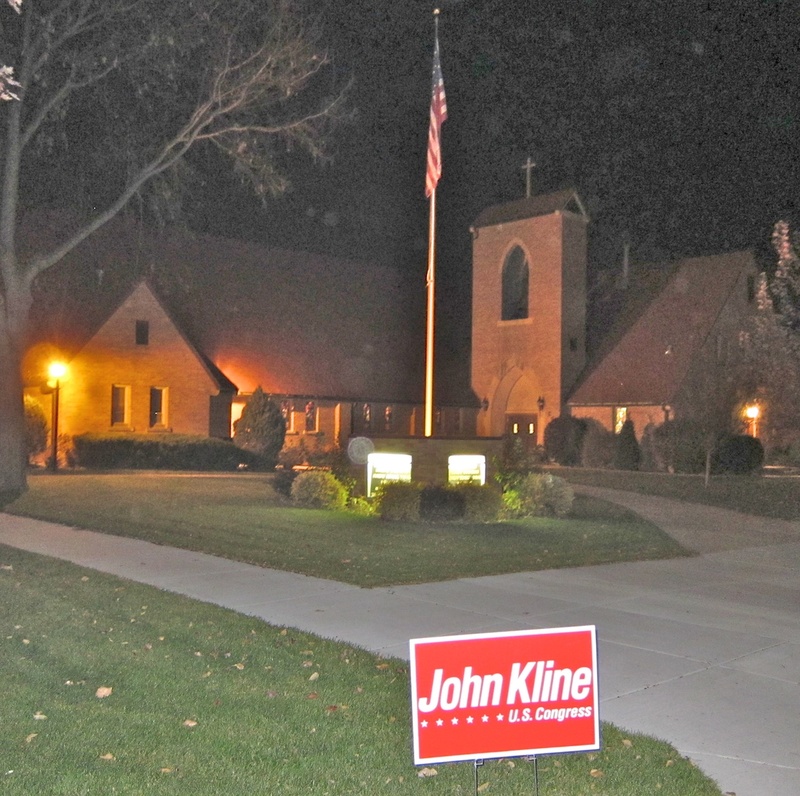 The location is both a church and a designated polling place for the next-day election. A row of parked cars indicated a meeting in progress. When we wandered past later, the meeting had broken up. Cooler and wiser heads must have prevailed, since the sign had disappeared. When we were fighting Communism, no one imagined that we would win by mixing more religion into our politics. The Communists repressed all religions with ecumenical zeal, and we took pride in our ecumenical tolerance. On the other hand, Communists preached (without practice) that all races were equal as workers of the world. No doubt this helped shame our country into embracing equal rights in the 1960s. Now that we’re fighting religious extremists, weak-hearted people think Al Qaeda must be right: religious extremism is the path to strength. So political activities worm their way into religious venues. Previous PostBacklighting remains trickyNext PostDo Zombies Stink?